Nando Sigona is the author of 'Unravelling Europe's 'migration crisis'' (with Heaven Crawley, Franck Duvell, Katharine Jones, and Simon McMahon, Policy Press 2018), 'Sans Papiers: The social and economic lives of young undocumented migrants' (with Alice Bloch and Roger Zetter, Pluto Press, 2014) and editor of 'Within and beyond citizenship' (with Roberto G. Gonzales, Routledge 2017), and The Oxford Handbook of Refugee and Forced Migration Studies (with Elena Fiddian Qasmiyeh, Gil Loescher and Katy Long, Oxford University Press, 2014). Dr Sigona is also one of the founding editors of Migration Studies, an international peer-reviewed journal by Oxford University Press. 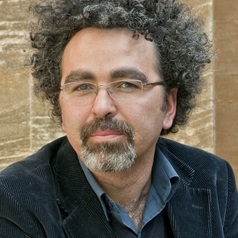 Nando is Deputy Director of the Institute for Research into Superdiversity at the University of Birmingham. Before joining the University of Birmingham in February 2013, Nando was Senior Research Officer at the Refugee Studies Centre and Senior Researcher at the Centre on Migration, Policy and Society (COMPAS) at the University of Oxford. His work has appeared in a range of peer-reviewed journals, including Sociology, Social Anthropology, Identities, Citizenship Studies, Journal of Ethnic and Migration Studies and Ethnic and Racial Studies.